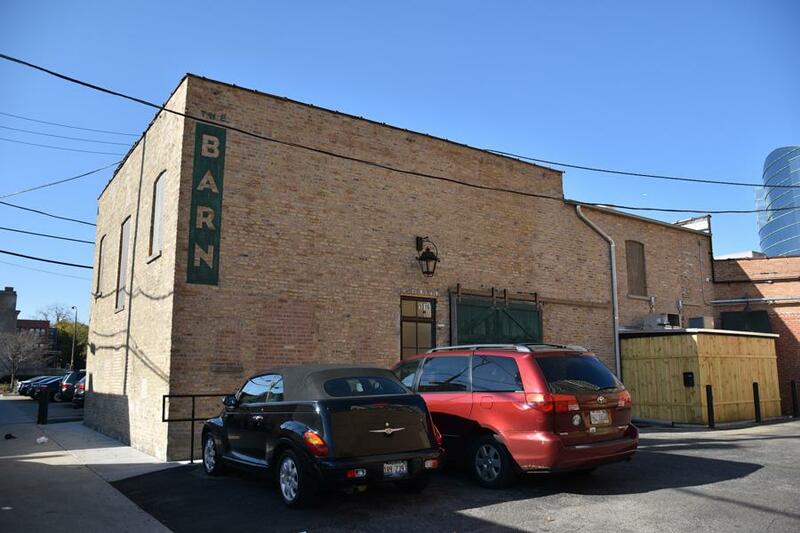 Amy Morton’s second Evanston Restaurant, The Barn, opened Nov. 1 down an alley on Church Street. The restaurant gets its name from the building’s former use as a horse barn. In an effort to strike a balance between rustic and elegant, The Barn, a new restaurant on Church Street, hides a large chandelier behind its 19th-century brick structure. The Barn opened to the public on Nov. 1. It is the second Evanston restaurant for owner Amy Morton, who also owns Found Kitchen and Social House, 1631 Chicago Ave. Located down an alley in downtown Evanston, the restaurant gets its name from its past use as a horse barn. Morton first heard about the building from her brother about seven years ago when she was looking for a location for Found. Although many of The Barn’s meals incorporate meat, it is not a steakhouse, Morton said. The dishes range from roasted chicken to venison tartare to a side of baby lettuce salad. Morton said she aimed for a “soft opening” so the staff would not be overwhelmed. She limited the number of reservations during opening week, accepting more day by day. Annie Coakley, executive director of Downtown Evanston, said the restaurant is suitable for a variety of occasions such as date nights, birthday parties and business meetings. Executive chef Nicole Pederson said because there are already so many casual lunch places in Evanston, they wanted to “fill the niche” by providing a more formal dinner restaurant. Both Morton and Pederson said diners’ reactions have been positive. Unlike Found, where the menu is constantly changing, The Barn’s menu will only change twice a year. Morton said The Barn is more about consistency. “Just as much as I love people who come into Found and always find something new, I believe there’s a market for people who just want what they want and to know that it’s going to be there,” Morton said. The Barn is also a homage to Morton’s father, Arnie Morton, who founded Morton’s Steakhouse. The first restaurant he opened, Walton Walk, also featured an alleyway entrance. The Barn is open from 5 to 10 p.m. Tuesdays through Thursdays and closes an hour later on Fridays and Saturdays.